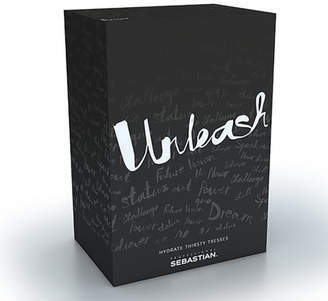 The Sebastian Professional Hydre Gift Set combines a moisturising shampoo and conditioner with a volumising spray to leave hair feeling lifted and replenished. The Set Contains: Hydre Shampoo (250ml) A moisturising shampoo that replenishes hair back to perfect health whilst preserving colour with its award winning colour safe formula. The moisturising blend deeply penetrates to revitalise every strand for strong, healthy and hydrated hair with a silky, radiant shine. Hydre Conditioner (200ml) Replenishes hair back to perfect health whilst preserving colour with its award winning colour safe formula. The moisturising blend deeply penetrates to revitalise every strand for a strong and hydrated result. Hair is left more manageable with improved health and shine. Volupt Spray (50ml) A volumising spray gel with root-lifting technology to lend your hair a fuller, more voluptuous appearance. Infused with Natural Bamboo Extract and volumising technologies, the bodybuilding spray delivers high impact volume without sticky or crunchy residue. Its two phase formula expertly boosts volume whilst leaving hair silky, soft and touchably supple.